Welcome friends and enemies as well, lol, welcome to my list of the Best Walking Dead Games For Android, with all the games on my list with high-quality 3d graphics and nothing but the coolest gameplay you will ever find for games like walking dead. Most Android games lovers don’t like and patronize walking dead games as much as they do for zombie games. 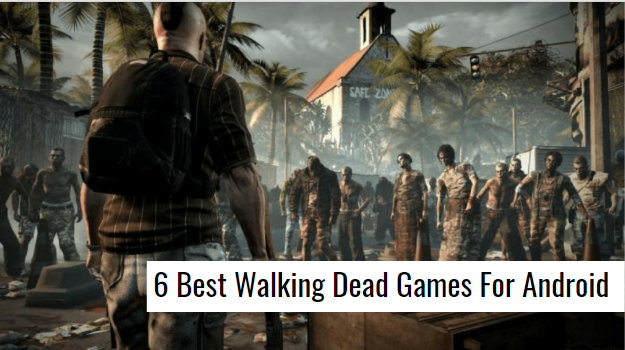 Just like zombie games, walking dead games For Android is just as cool as zombie games will ever be, so when I’m done with this article you should try and download one or more of my walking dead games from my list of Best Walking Dead Games For Android. Just get ready to get your mind blown by the games I will introduce, top notch, everything soft. There is no land that will be safe for you, you are in no man’s land, all you have to do is survive. It’s going to be scary and deadly, but I know you can do it. The Walking Dead as the first Walking Dead games on my list of the Best Walking Dead Games For Android. There are a lot of episodes in the seasons that will be available for you to play through, and also a lot of fun missions. This is an RPG game packed full of real action and unbelievable stunts and tactics. You can collect characters from the list of all your favorite characters and you can also upgrade those characters to keep them in shape. When picking out a team for missions, choose a formidable team and also durable equipment and weapons for each mission. There are weekly PvP matches and join your other teammates. Cool graphics and amazing gameplay, this game although is just 292MB in the installation size, is as entertaining as ever. This game is a high-end well designed high-quality graphics game on google play store, and now it is one of my high-end games on my list of Best Walking Dead Games For Android. The season two of this cool game really brings out the 3d graphics and unique gameplay of this game. In this game, you will be playing as the lead character, a little girl named Clementine. Clementine is an orphan girl that has found herself in this world and against her will, have been forced into this life. In order for her to survive, she must scale through the obstacles, kill as many zombies as possible, there is no other way. As you take up this character, it is your job to make sure she survives. Now, the downside of this amazing game is that this game is not supported on every Android device, it can play on mostly Samsung devices and other high-end smartphones. This 617MB download size game is the kind of game you need to experience the walking dead. Embark on a scary adventure to the road to survival with this version of the walking dead. On my list of Best Walking Dead Games For Android, all the walking dead games I have were all developed by almost the same developers, but different versions and editions, so you can download each of the 6 editions of the Best Walking Dead Games For Android. The Walking Dead: Road To Survival is an exceptional edition of the Walking Dead series, with way better graphics and gameplay. If you are looking for some more action than the one in the previous walking dead games on my list then the road to survival is what you need. This game is just 65MB in the installation size and has a wide range of fighters that can be recruited to your team to fight off the herd of zombies that awaits. This episode of the walking dead is literally where it all began, the very first episode, the very first edition. This edition even won an award, that goes to tell you how good this game is. Among my Best Walking Dead Games For Android, the season one has the best graphics ever. This game right here needs a total amount of 1.5GB space on your Android device to play. The installation size of this game is 1.2GB, but you can download it for a much lower data, but you will still need to download the additional file for the game to be able to play, so why not click on the download link below and begin. The storyline of this edition is just like the season two, the only difference is that the orphan girl, Clementine started her story from season one and it will be more fulfilling while playing that you start from season one to really grasp the knowledge of this walking dead series. The objective still remains the same for this new walking dead game for Android. Based on the comic book, this walking dead edition has that thrill and excitement that will leave you wanting more. The Walking Dead: Michonne is one of the newest Best Walking Dead Games For Android, among all other walking dead games on google play store. The slight difference with this series and other walking dead series is that the characters will change, the fighters that you will have at your disposal will be different from the fighters in other walking dead series. You will also have the capability to upgrade your fighters and create a team or squad of all your best fighters. This game is 636MB in the installation size, so get your series now! The Walking Dead Pinball is a unique walking dead like no other. The gameplay isn’t your regular walking dead game from google play store. You can choose a playfield and play through the pinball table. There are a lot of cool locations on the game, a map that will guide you to all the iconic places in the game. The objective has always been the same, for the Best Walking Dead Games For Android to all zombies games on google play store, you are meant to survive. But as you play this game, things become a little different from the usual, you have control of the pinball, you can literally choose who to crush and kill with the pinball or who to save during the zombie invasion. You will have a group of all your favorite fighters, set a game plan and equip tools and weapons that will be used during the missions. You can acquire vehicles also, and don’t forget to get fuel. Get ready to play this amazingly outstanding walking dead game in 3D graphics, the gameplay is smooth and the audio is just perfect, 50MB size of a walking dead game ready to be played by you. After all said and done, walking dead games are full of adventure, that is the difference between walking dead games for Android and zombie games for Android, although the walking dead games on my list above have some RPG characteristics, zombie games dominate in that department. So, click on the download links below any of the walking dead games that you’ll prefer and start an adventure that will leave you speechless. Thanks for viewing till next time, see ya. previous 8 Best Android Horror Games | Face Your Fears!! !